In loving memory of our dear father Thomas Fisher who fell asleep in Jesus Nov 10th 1886 in his 67th year. Also of William Albert Giles grandson of the above, who died Feb 15th 1876 aged 5 months. Also Albert George Giles who fell fighting for his Queen and Country in the Battle of Tamanieb March 13th 1884 aged 21 years. 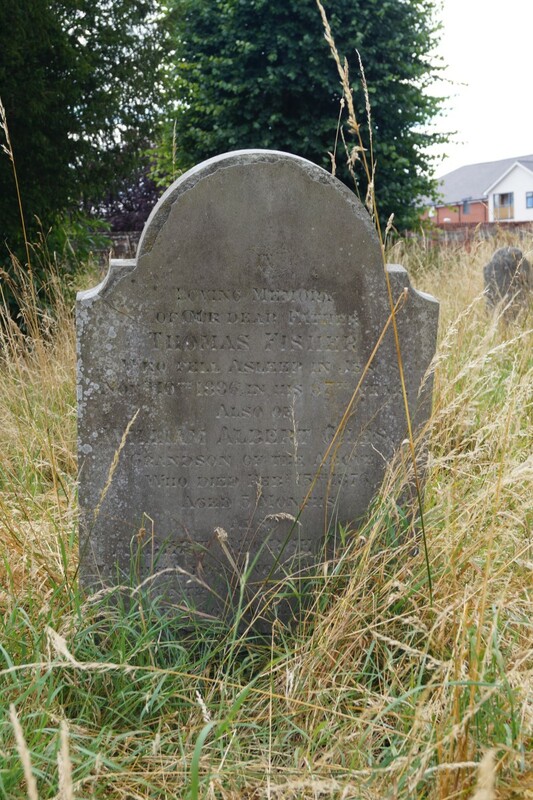 Also of Ann Maria wife of the above Thomas Fisher who died Jane 20th 1902 aged 80 years.